Solid Mastering is a state of the art, world-class analog online mastering studio located in Northern Italy. It was built aspiring to make Real Analog Mastering services accessible to all. SOLID MASTERING STUDIO IS ONE OF THE VERY FEW AUDIO MASTERING STUDIOS IN EUROPE TO OFFER REAL WORDCLASS ANALOGUE AUDIO ONLINE MASTERING SERVICES. We provide the same quality and professional masters to our online clients that we do for our local artists. In addition, we offer a free mastering sample for all potential clients and express services for when a faster turnaround time is needed. This is the standard practice for mastering a song. The artist sends a stereo file of their final mix, which is then put through the final mastering process. The engineer is able to enhance the sound quality and adjust the song to sound better when played on specific sound systems. Since the files the engineer is working with are limited small adjustments to specific tracks will not be possible and any small issues he may find such as clipping or audio that is cut off cannot be fixed. Solid Mastering focus on online mastering is to provide musical solutions for your production. The sound is enhanced in every playback situation. The best equipment is used to optimize your production for different formats from digital download to Vinyl. Our gears are available from both old and new technologies which are all industry standards. Solid Mastering is outfitted with brands such as Prism Sound, Fairchild P.o.m., Maselec, Rupert Neve Designs, Sontec, Vertigo and many more. WANT TO HEAR WHAT PROFESSIONAL MASTERING WILL BRING OUT IN YOUR MUSIC? SIMPLY UPLOAD A FINISHED MIX: WE’LL MASTER YOUR SONG AND SEND BACK A SAMPLE AT NO COST. Thermionic Culture Vulture Anniversary Edt. Our digital and analog mastering equipment has been carefully chosen to compliment the studio and provide outstanding audio fidelity, balanced acoustics, and excellent studio workflow. Our compressors and equalizers include new and vintage Fairchild, Prism Sound, Maselec, Chandler, Dangerous Music, Sontec, PMC, Neve, Burl, Pendulum Audio. Machines can’t do everything; great mixing and audio mastering requires also experience, a musical ear, technique and talent. We have SOLID knowledge, two decades of experience and skills to better serve your music with our analog online mastering studio service. There are tons of mastering houses in the world. We will explain why our analog online mastering studio service is great, and that’s all. First of all UNIQUE portfolio of vintage and state-of-the-art equipment. Custom-built precision studio will ensure your music has above all our full attention in ever detail. Over 15 years experience and a fresh set of ears. Certainly essential to providing peace of mind. Solid Mastering is one of the very few studios to provide REAL STEREO & STEM ANALOG MASTERING service. New and unrivaled techniques to optimize and enhance your songs while keeping musicality and sound dynamics. Our customer support is the best, as a result we reply very fast. Finally our website is user friendly, you pay and manage your orders easily in your user dashboard. Read what people say about Solid Mastering here. 1.First of all Fill our short order form and tell us more about your music and your expectations. 2. Use our upload form to upload your mixes. Please look at our Mastering preparation tips in advance. 3. Pay with Paypal, easy, fast and secure!! All you have to do to get your song mastered is just to upload your track (wav files) to our secured server and proceed with the payment. Therefore we will master your song and finally send you a mastered audio. As a result we make sure that your music sounds at its best while preserving dynamic and quality. 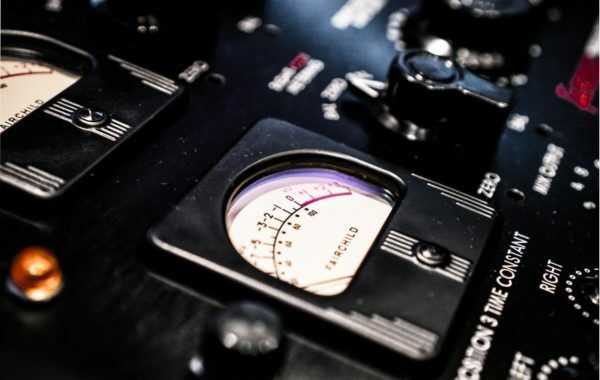 All our analog online mastering studio services are analog with an analog summing & outboard. We process each track in a Class A gear; We are one of the very fews to do so. From 44.1K to 192K, Youtube,High Res Audio, 2L, 7 Digit,Apple, Qobuz, HD Tracks, etc . Better quality of Audio than MP3, for consumer share.